A vertical perspective, ranging from management and routing to physical layer options, concerning dynamic network monitoring and compensation of impairments (M&C), is given. 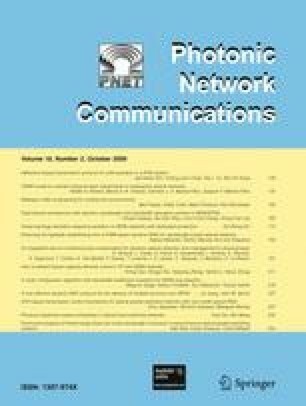 Feasibility, reliability, and performance improvements on reconfigurable transparent networks are expected to arise from the consolidated assessment of network management and control specifications, as a more accurate evaluation of available M&C techniques. In the network layer, physical parameters aware algorithms are foreseen to pursue reliable network performance. In the physical layer, some new M&C methods were developed and rating of the state-of-the-art reported in literature is given. Optical monitoring implementation and viability is discussed.